HALIFAX, N.S. -- Tire distributor Groupe Touchette, headquartered in Montreal, has opened its 30th location to serve car dealerships and other tire shops. “This addition to the Atlantic region is part of our development plan and adds great value to our national coverage,” Groupe Touchette CEO Nicolas Touchette said in a statement regarding the new Halifax location. In Canada’s largest cities, Groupe Touchette assures dealership tire delivery in three hours or less, 90 per cent of the time. “This promise is part of the company’s foundation and is an ongoing effort to improve customer service and product accessibility,” Touchette said. Philippe Robichaud is the supervisor of the new Halifax distribution centre, and will look after a staff of three at the warehouse, which has the potential to expand to 10 people during busy times. The new Halifax operation is the company’s second location in the Maritime provinces, after the distribution centre in Moncton, N.B., opened in 2015. 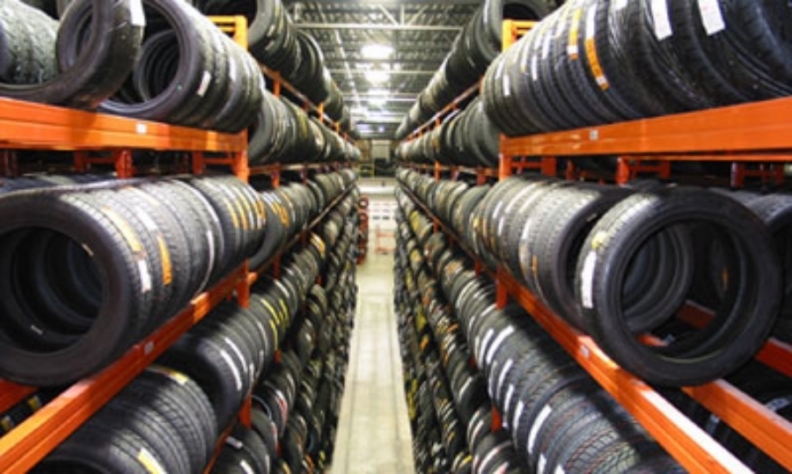 The new building is 21,000 square feet (1,950 square metres) and stocks more than 30,000 tires. According to VicePresident of Sales Roger Champoux, Groupe Touchette has a unique two-pronged sales channel: TireLink, aimed exclusively at franchised car dealers, and DT Tire, which is reserved for independent garages and fleet companies. Champoux says that having the new centre in Halifax will help serve existing clients and help in the search for new ones. Matthew McIntyre, parts manager for Fredericton Hyundai, has been buying tires through Groupe Touchette for two years. The dealership gets deliveries from them twice a day. “Having the distribution centre in Moncton helped,” McIntyre said. Given that Fredericton Hyundai is part of the Nova Scotia-based Steele Auto Group and has several stores in the area, McIntyre says that the new Halifax store can only improve things in that province. “It’s really going to boost a lot more tire sales,” he said. Caley Allison, parts manager for Moncton Honda, has had similar experiences. “TireLink is amazing,” he said. He used to deal with another supplier, but has mostly dropped them. Both McIntyre and Allison gave Groupe Touchette their full winter-tire business last year, and will do so for the coming 2017-’18 season. Groupe Touchette began in Montreal 35 years ago with founder André Touchette selling tires to his friends and family. After bringing his son Nicolas on board in 1992, it grew into a more established distribution business and began expanding throughout Quebec. Champoux was brought on in 2010 to help move the brand into other provinces.